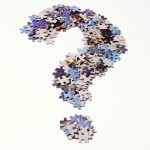 One of my key skills as a facilitator and consultant is my ability to craft good questions. The right question can prompt reflection, create connection, open doors, encourage disclosure, motivate action. It can surprise, delight, or sooth. It can open space for possibilities. The wrong question can frustrate or frighten, closing both minds and doors. It can narrow possibilities. I’ve written previously about the importance of asking “why?” when planning a meeting, event, or campaign – getting clear on desired goals and outcomes FIRST is the best way to make sure you accomplish them! The question “why?” is less useful when discussing past behavior. “Why did you do that?! ?” is often received as a judgement, rather than a question. Not to mention the fact that we actually aren’t very good at understanding our own motives most of the time. What were you thinking about when you did X? What factors did you consider when making that decision? What was going on for you around that time? What did it feel like to be in that situation? What other people or events contributed to the situation? Notice that these questions are all open-ended – yes or no questions tend to shut down dialog. No matter the question, it must be asked in a spirit of inquiry and understanding – any hint of judgement in the questioner’s demeanor can trigger defensiveness or a lack of cooperation on the part of the person being questioned.